My mom bought this for Beau and I to make this Christmas. We didn’t get around to it till the 30th though. 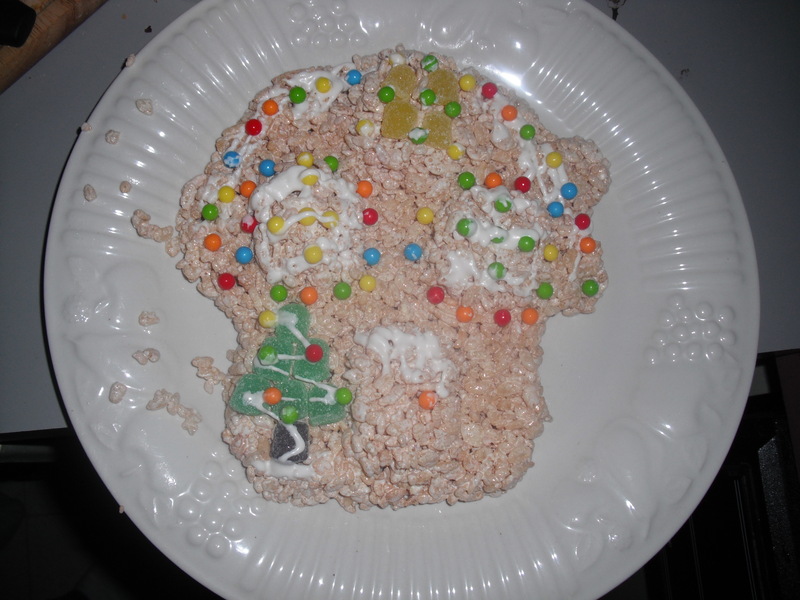 We had to make the rice krispie treats that make up the houses ourselves, and it didn’t go so well. It wasn’t sticking together as well as it should have and made the process much more frustrating. Once we got started though, it became fun. Beau’s house is on the left, and mine is on the right. We “borrowed” some ideas from the box it came in. They must have had a professional decorator doing those. Beau took his house home and showed his parents. His mom knew what it was and said he did a good job. However, his dad thought it was fruit. 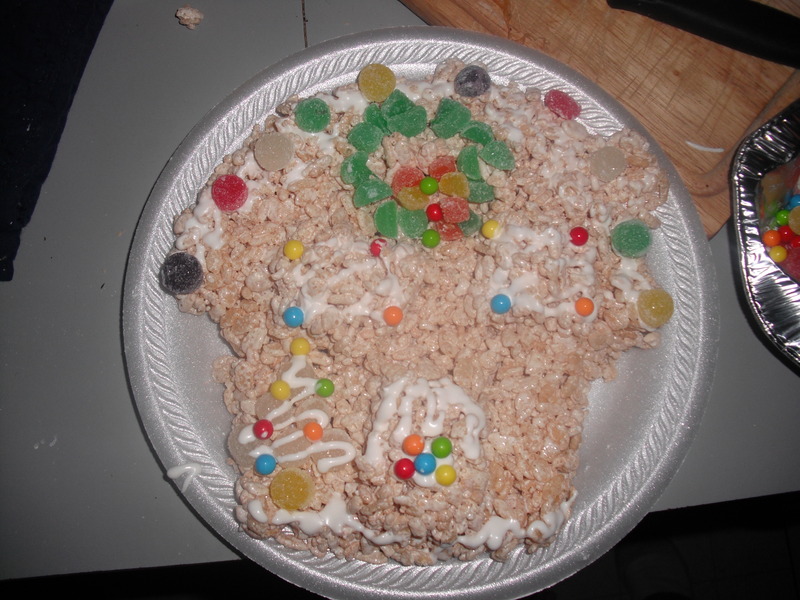 After explaining it to him, his dad was finally able to see what it was supposed to be. I suppose its a good thing that Beau didn’t go into architecture like he wanted to in high school.